Publisher: John Murray, London, 1829. Second edition. Condition: Full leather, raised bands on spine. Excellent for its age. Minor fraying to top of spine, some foxing to endpapers and blank pages. 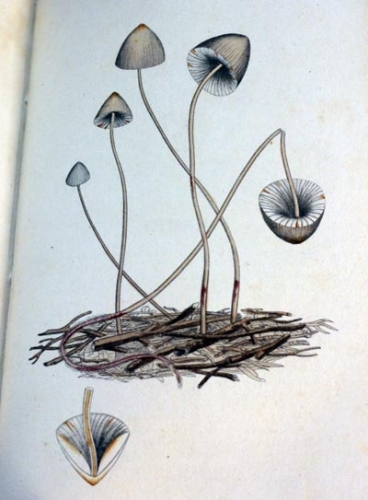 7 plates containing black and white illustrations at the back, mildly foxed. Published anonymously. 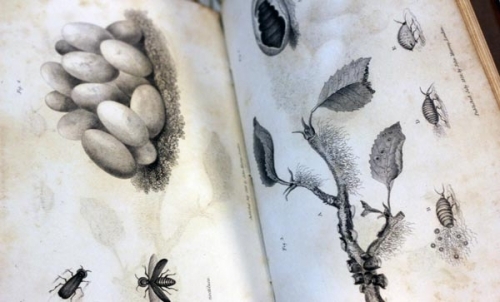 John Leonard Knapp (9 May 1767 – 29 April 1845) was an English botanist best known for his Journal of a Naturalist and his work on British grasses. 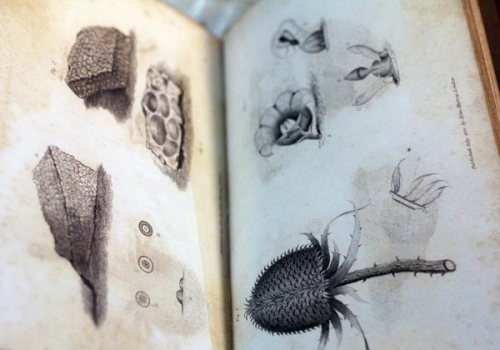 He lived for a time at Powick, near Worcester, and was then in the habit of making long summer botanical excursions. 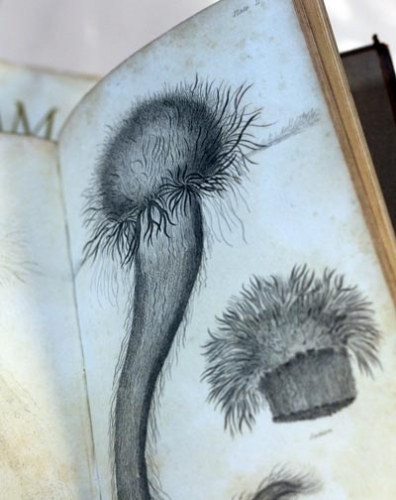 On one of these he visited Scotland in company with Scottish botanist George Don and collected several of the rarest species of British grasses. In 1804 he published Gramina Britannica, or Representations of the British Grasses on 119 coloured plates, with Descriptions, in quarto, the figures being executed by himself. 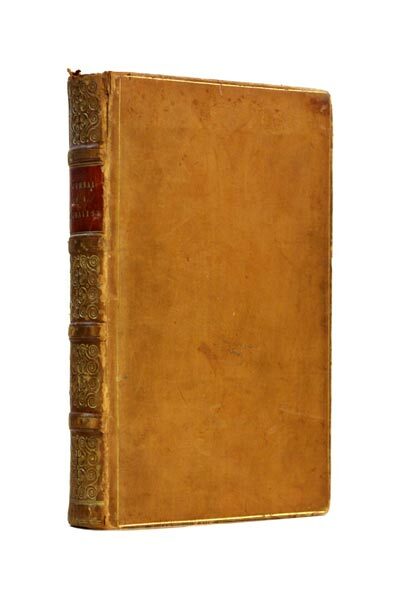 This edition was, with the exception of a hundred copies, destroyed by a fire at Bensley’s, the printers, and the book was not reissued until 1842. 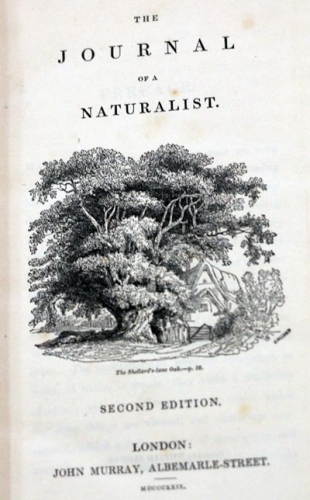 In 1818 Knapp published anonymously a poem entitled “Arthur, or the Pastor of the Village,” and between 1820 and 1830 a series of articles, under the title of ‘The Naturalist’s Diary,’ in the almanac series ‘Time’s Telescope.’ These formed the germ of his most successful work, the Journal of a Naturalist, published anonymously in 1829, which went through three editions during his lifetime. It was published in America in 1853 as Country Rambles in England with an introduction and notes by Susan Fenimore Cooper. 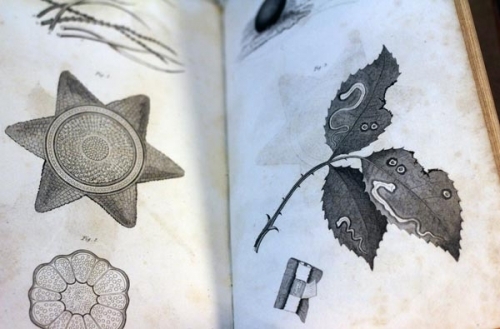 Knapp viewed it as a botanical companion to Gilbert White’s ‘Selborne.’ He lived till 1813 at Llanfoist, near Abergavenny, and subsequently at Alveston, near Bristol, where he died.